Children can try their hand at re-creating ancient Israelite culture-along with the cultures of their neighbors, the Philistines and Phoenicians-in a way that will provide perspective on current events. 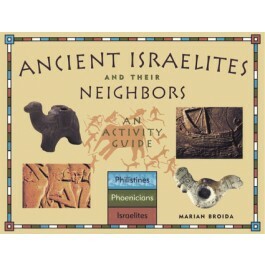 The book covers a key period from the Israelites' settlement in Canaan in 1200 B.C.E. to their return from exile in Babylonia in 538 B.C.E. This part of the Middle East-no larger than modern-day Michigan-was the birthplace of Judaism, Christianity, and Islam. More than 35 projects include stomping grapes into juice, building a model Phoenician trading ship, making a Philistine headdress, and writing on a broken clay pot. 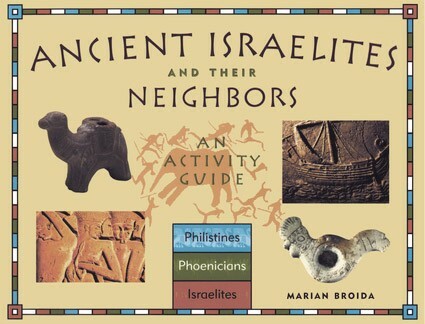 Israelites', Phoenicians', and Philistines' writing and languages, the way they built their homes, the food they ate, the clothes they wore, and the work they did, and of course, their many interesting stories, are all explored.